At Great Lakes Pondscapes, we pride ourselves on ensuring that all of our customers are informed. 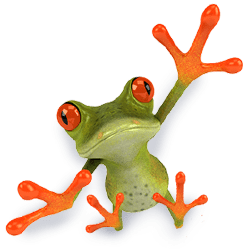 Whether they’re building a background pond, stocking it with fish to create a koi pond, or searching for the perfect combination of aquatic plants, our team takes great care to understand our customers’ goals and – more importantly – help them reach them. In light of this, there are five elements you should always keep in mind when trying to cultivate a healthy ecosystem. A good filtration system will utilize both a biological and a mechanical filter. BioFalls®, a biological filter, provides a surface area for beneficial bacteria to colonize, helping to remove excess nutrients from the water. A skimmer – a mechanical filter – prefilters the water and houses the pump while also removing debris from the water’s surface. This works to prevent excess accumulation of organic material on the pond floor and, as a result, helps to prevent mosquitoes from breeding in your backyard pond. 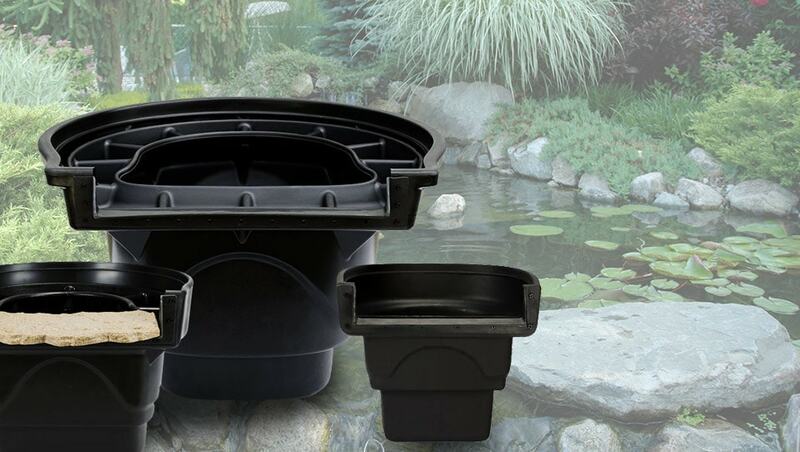 Rocks and gravel protect pond liners from degradation caused by ultraviolet light. They also provide a surface area for beneficial bacteria, which help to break down excess nutrients in the water and dissolve organic debris on the pond floor. 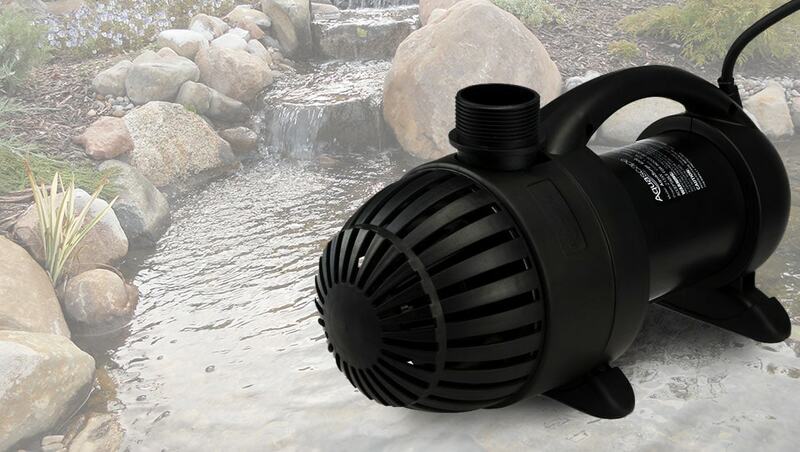 “Recirculation system” is a fancy way of saying, “pumps and plumbing.” Selecting the correct size pump and pipe diameter is essential to preserving the aesthetics of your water feature. Even more importantly, an efficient circulation system will keep the water moving and ensure the necessary oxygen levels for healthy, fish, plants, and beneficial bacteria. 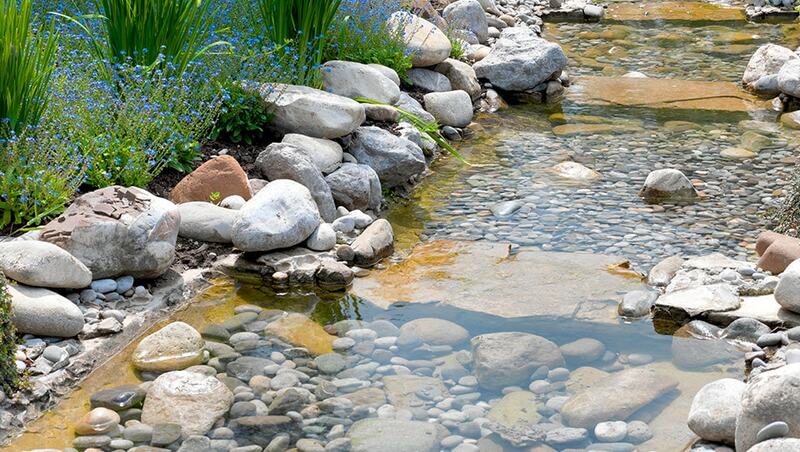 Fish are an integral part of your backyard pond’s ecosystem. Unfortunately, fish are often seen as high maintenance. 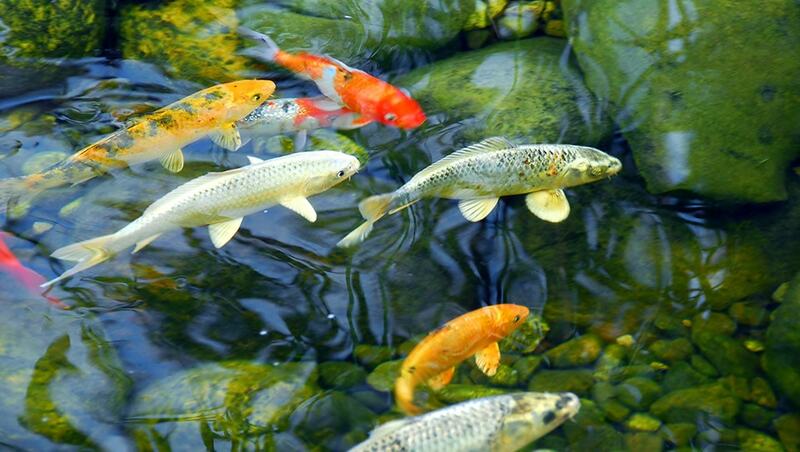 In truth, however, fish actually reduce the amount of maintenance that your pond needs, as they graze on string algae and feed from the pond’s floor. In addition to this, they make very enjoyable pets, providing hours of natural entertainment. Mother Nature’s true filters, plants are great for adding character to your fish or koi pond by providing color and texture. More importantly, from a filtration perspective, they’re second to none. When given proper coverage, aquatic plants thrive from the excess nutrients in an ecosystem pond and deprive algae of its food source. 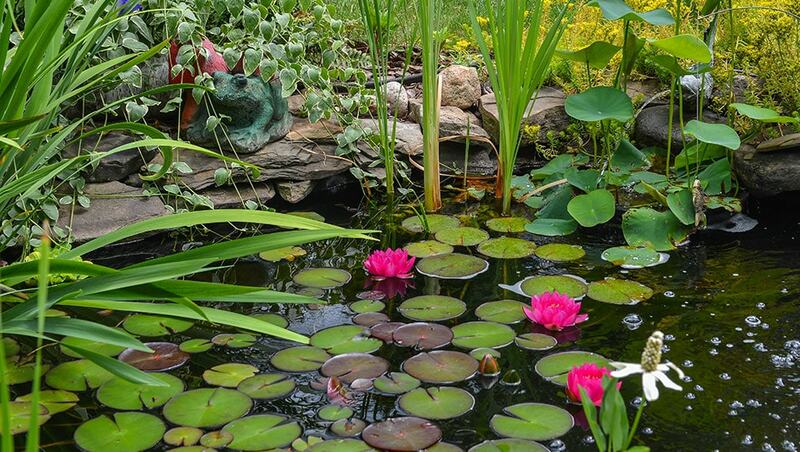 Because of this, aquatic plants are critical for the overall health of your backyard pond’s ecosystem.